Following on from my post around “App-V Package Streaming Optimisation” let’s talk more about the Publishing Feature Block. 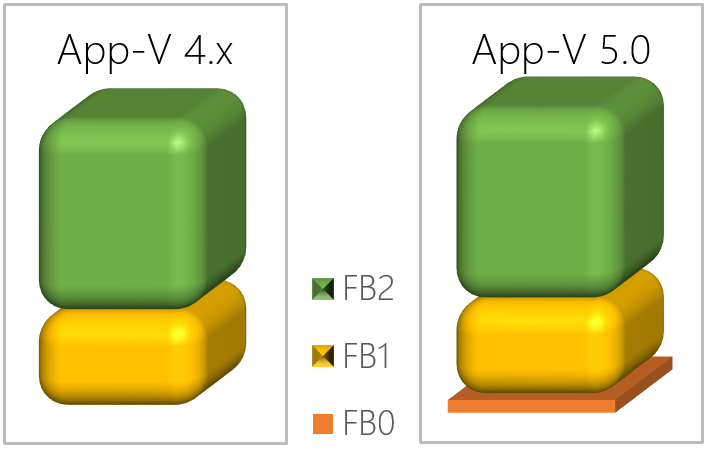 In App-V 4.x if we chose to optimise our package we would end up with a FB1 (Primary Feature Block) and FB2 (Secondary Feature Block). FB1 would contain the assets we need to launch our application and FB2 would be everything else. In App-V 5.0 regardless of what streaming optimisation approach we take (fault streaming, FB definition or full download) we always end up with a FB0 known as the Publishing Feature Block. The Publishing Feature Block contains everything required for the publish of our application such as icons, metadata and scripts. 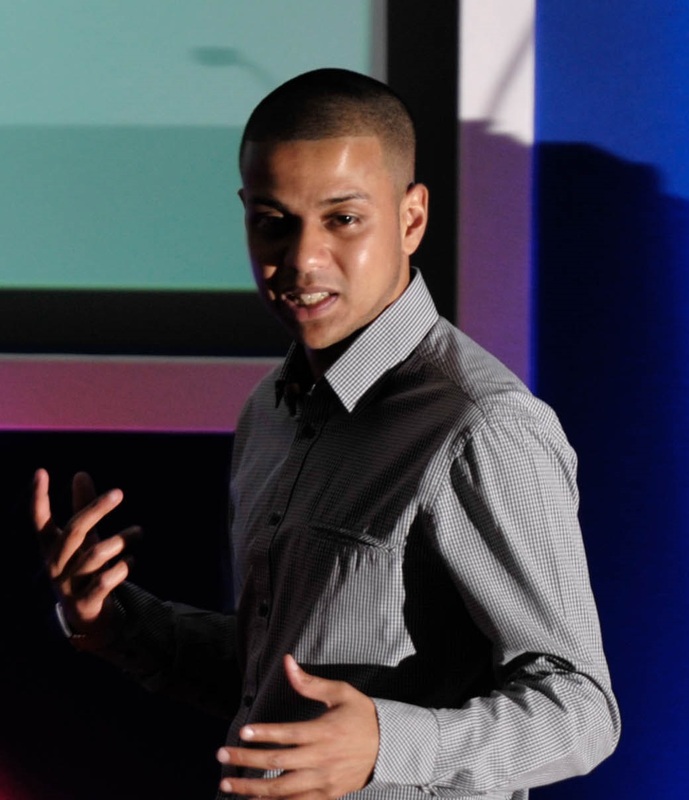 You might be thinking well wasn’t this the same for App-V 4.x? 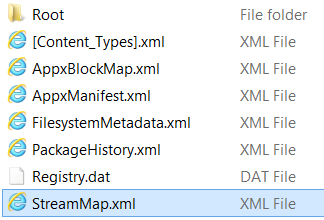 Well sort of but remember in 4.x our icons were stored outside our .sft and so was our metadata in the .OSD so this never had to be accounted for in the stream map. 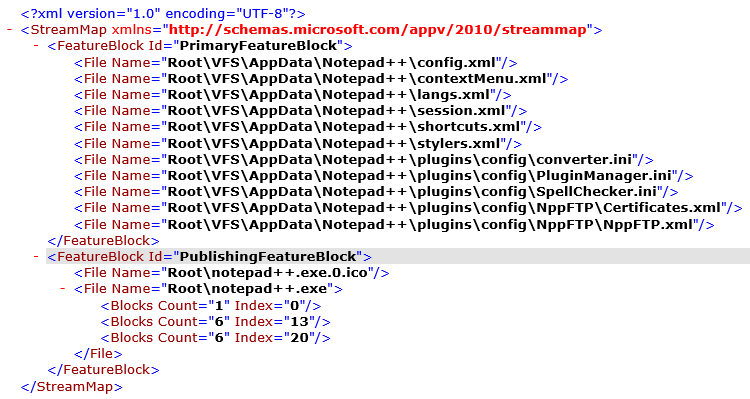 In 5.0 this is all stored inside the .appv. Above I have published a selection of applications, I have not launched any of them yet but as you can see, all of them are already taking up a degree of space of my client. This is because the Publishing Feature Block has already been streamed at the time of publish. Even I have sequenced the same “Notepad++” software and launched the shortcut at the time of sequencing, but I could not see any files captured in Primary Feature block as you mentioned in the above screenshot. Could you let me know what functionalities to be performed at the time of sequencing to capture the files in Primary Feature block as you shown. You will need to launch the package at the Streaming part of the Sequencer workflow. Yeah true, I launch the shortcut at the time of streaming part. But it did not capture anything under Primary Feature block. Still I see the files were loading from Feature Block2.